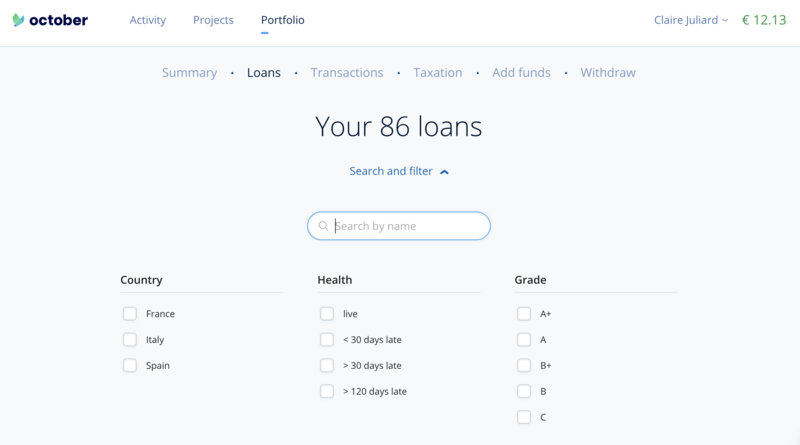 In order to monitor the status of your October portfolio, or in other words, to know if repayments are up to date for each project, we have developed a monitoring tool in the portfolio / loans section. > 120 days late (or in legal proceeding). Date of our next update. Every month, on the same day of repayments, you will receive an email to inform you of the incidences and to remind you how to access the recovery actions updates. To find out more about October's recovery procedures, you can read this tutorial. You can therefore have access to our Statistics updated each month.